Having a place you can go when all around you is in chaos. Many years ago, whenever I went on holiday I always felt safe and secure once I was booked into the hotel or, if I was camping, had erected my tent. This was my anchor, everything I did while on holiday, or a business trip, was centred around that anchor. It was my temporary home. A place I could always come back to, regroup and plan what I would do the next day. I’ve used This ‘anchor’ idea in my productivity system for many years. Rather than being a physical place though, my productivity anchor has always been either my journal or my Franklin Planner, when I used a Franklin Planner. It is a place where I have a list of all my plans, goals and dreams and in times of overwhelm, stress and drama, I can go there and it brings me calm and refocus. Other people’s demands will drag you away from what’s important. It is very easy to get waylaid by the stresses and dramas of the day. Other people’s emergencies, demanding bosses, upset customers and angry partners. These things can very easily distract us from our goals and purpose. We may start the day with the best of intentions, but one hour in our workplace on a Monday morning can destroy our intentions for the day and we find ourselves dealing with other people’s agendas and we lose track of our own goals and objectives for the day. When the day ends, we look back at the day and wonder where all the time went and why we did not do anything we wanted to get done. This is why having a place, either a digital place or a paper-based notebook, is a vital tool in your productivity toolkit. It is a place you can always come back to and review your intentions, your goals, your plans and refocus you on what is important to you. It is the reason why all the best advice about planning, goal setting and productivity always say “write it down”. Our brains are attracted to distractions. Our brains are very easily distracted. Anything unusual, loud or new will get our attention and our brain will then try and make sense of it. That is how our brains are wired. It goes back millions of years and it is a defence mechanism our brains developed back when we were on the lunch menu for animals that had a taste for human meat. Today, we live in very different times, of course. We are no longer on the menu of roaming wild animals. Instead, we are now on the menu of people who want us to take responsibility for their problems. While that may be a good and noble thing to do, it also means we lose focus on our goals and intentions and this means we spend all our time serving the interests of others at the expense of our own interests and that is not a very good place to be. Having an anchor gives you a place to refocus. The way to avoid this and take control of our lives is to have in place an anchor. A place where your goals and aspirations are written down so you can read through them and remind yourself of what you want. What your goals are and where you want to go in your life. Although I am very much in the digital space — my to-do list manager and notes app are all digital — I still use a paper-based anchor. My journal acts as my anchor and it is where I write down my goals, my life’s purpose and my daily objectives. Throughout the day, whenever I am doing work at my desk, my journal is there next to me, reminding me of my objectives for the day. It’s where I keep track of the work I have done for the day and allows me to see what I am working on. If I find my list of things done is filling up with other people’s problems, I know it is time to take a few minutes to read through my own objectives for the day to make sure I am addressing them, and not spending all my time dealing with other people’s crises. 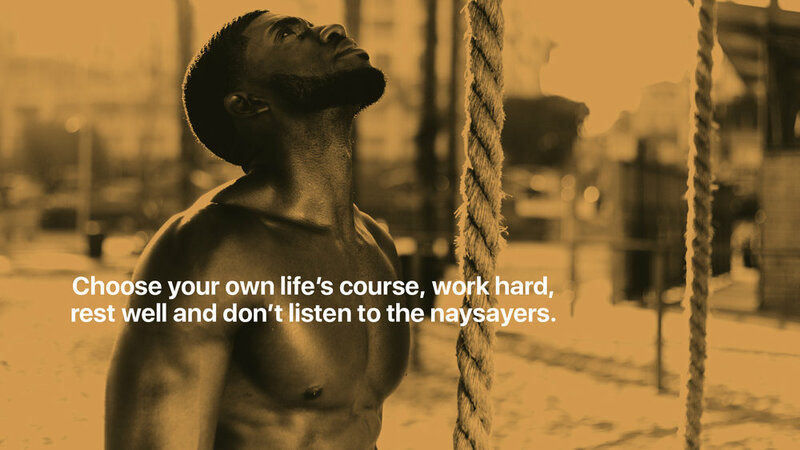 Work on yourself you can help the people who matter to you. It is important to be there to help your friends, family and colleagues, but you also need to be working on yourself. It is you who is more important, and while that may sound selfish, it is not. Remember the last time you took a flight somewhere? When the flight attendant did the safety instructions, whose oxygen mask did they tell you to put on first? Your’s or your young child’s? Your’s. And the reason for that is if you do not take care of yourself first you will not be in a position to help others. And that lesson is true in life too. For you to be in a position to help others you need to make sure your life is in order. If you neglect your life and your goals and spend all your time working on other people’s problems, in time you will become a burden to other people and those other people are usually the people you most care about. No matter how you do this, having a place where you have your own goals, plans and life outcomes written down will bring you incredible peace of mind. It will allow you to refocus your energies on what is important to you so you are in a position of strength to help those people you most care about. It brings clarity, purpose and it is a way to check you are making progress in the right direction. And more importantly, it becomes a joy to do. The world we live in is a very distracting place. 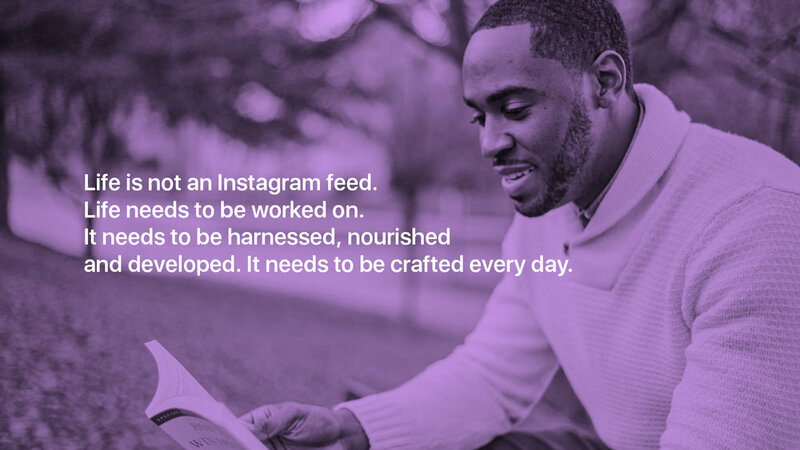 The demands for our attention not only come from people we interact with, but we are also inundated with adverts, notifications and ‘breaking news’. Having an anchor in place that brings you back to what you want, a place no matter how chaotic life around you brings you peace and focus is a great way to stay on track, and maintain your momentum towards achieving all the things you want to achieve in your life. If you don’t know what you want or are struggling to set goals and plans, then take a look at my Ultimate Goal Planning course. It is a course designed to take you on a journey of discovery and will help you to establish what you want to achieve and show you how to turn those into achievable goals on a realistic timeline. 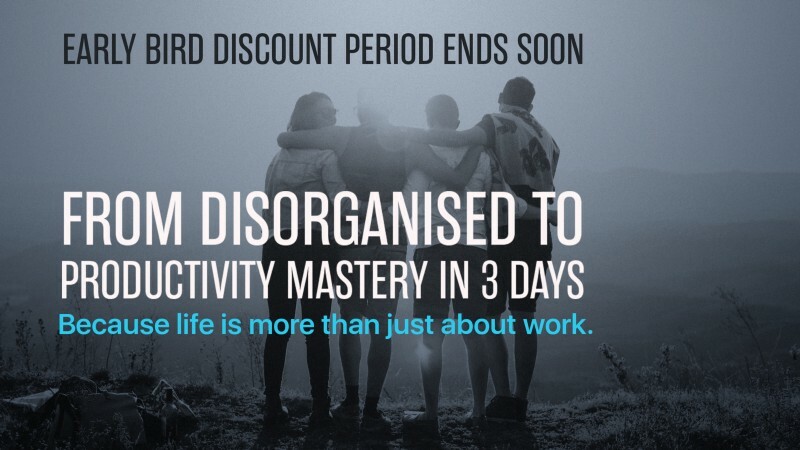 Now is a perfect time to take this course with 2019 just around the corner and at just $59.99 is a fantastic investment in your amazing future. More details can be found here. How To Not Get Caught Up In Unimportant Busy Work. One of the things that has always struck me about amazingly productive people is their ability to quickly decide whether something is important or not. These incredibly productive people seem to be able to eliminate the unimportant and only focus on tasks that will move them closer towards their goals. A better way of making sure you get the important things done. In my book, Your Digital Life 2.0, I explained this by recommending you establish what routine tasks you have to do each day, week and month and then separate them into their own project. What this does is help to remove tasks that need doing, but do not improve the quality of your life or take you closer towards achieving your goals. Those things just have to be done. Taking the garbage out, doing the weekly sales report or cleaning your house. These are tasks that will not take you further forward to achieving the goals you have set for yourself. Essentially what you are doing is demoting their importance to you so you can focus on the higher quality tasks. We naturally move towards the easy tasks. The problem is when you have a to-do list full of important and unimportant tasks you are naturally going to navigate towards doing the easy tasks. Doing the quick easy tasks gives you the dopamine hit we all crave and we feel our to-do list is shrinking. The problem is we also feel we are accomplishing something, yet if you took a step back you would release you are accomplishing nothing important. The harder, longer tasks get pushed back and those are tasks left to do when we are tired or about to finish for the day. The problem here is those more difficult, harder tasks are the important tasks. The tasks that would accelerate you towards achieving the things you want to achieve. A far better way to manage your to-do list is to relegate those easy routine tasks to the end of the day. 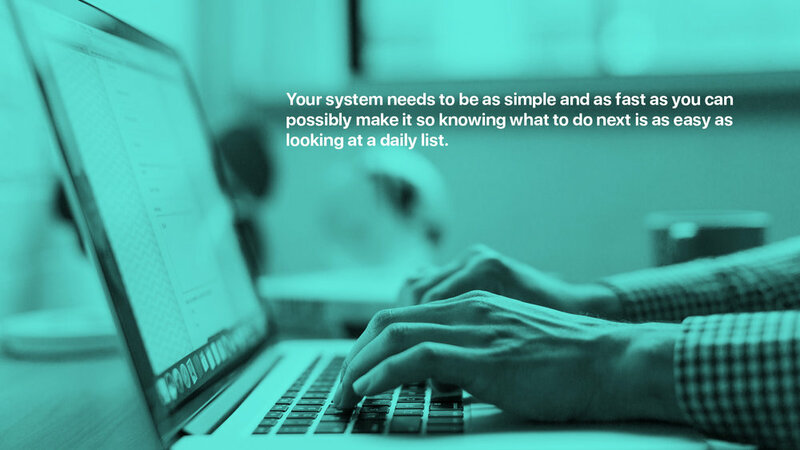 And this is why moving your routine tasks into a separate list helps to stop you from being tempted into doing them at the expense of the more important tasks. The first thing you can do is sit down and take a look at your to-do list from the last week. Look at the tasks you completed and find the tasks that you have to do every day or week and write them down on a list. Once you have collected all those tasks onto a list, find the ones that have to be done regularly either daily, weekly or monthly and decide whether they are tasks that improve you as a person and take you closer towards achieving your goals. If they don’t they are likely to be routine tasks and you can move those tasks into a separate list called “routines”. Tasks such as “go for a run” may be routines, but they improve the quality of your life. These are important tasks. Tasks such as these do not go on your routines list. However, a task such as “prepare weekly grocery list”, is a routine task. It just has to be done. Those kinds of tasks go on your routines list. I have a weekly task to write this blog post. It comes up on my daily to-do list every Monday. This task is a task that contributes towards my goal of helping one million people to become better organised and more productive by 2020. I do not consider writing this post a routine. It contributes towards a goal. Yet, cleaning up my folders, project lists and calendar does not contribute towards any of my goals and so a task like that would be on my routines list. 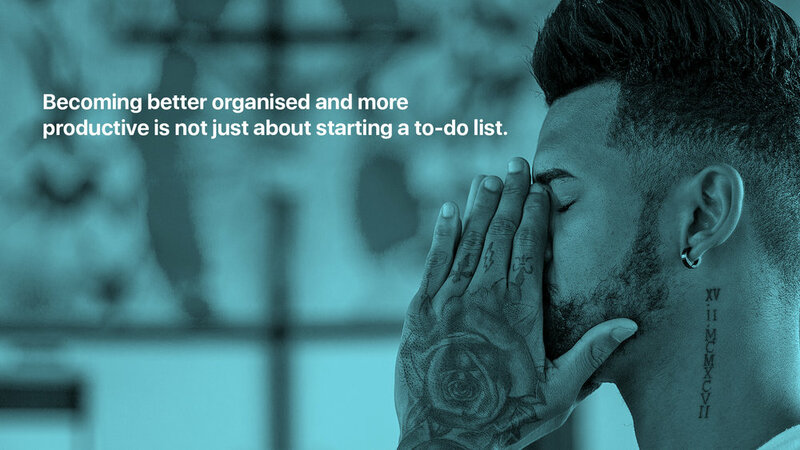 Becoming better organised and more productive is not just about starting a to-do list. There is much more involved. It’s a great start to write everything down that needs doing, but you also need to attack that list with laser-like focus to establish which of those tasks are important and will contribute towards your overall goals and which ones will not. What you want to do is apply Pareto’s Rule to your list by asking yourself which twenty per cent will contribute to eighty per cent of my goals? Those are the tasks you should focus on completing. The other eighty per cent of your tasks you do when you can, if you have time. This is why doing the Golden Ten daily planning works so well. Those ten minutes at the end of the day when you sit down and plan out the next day not only leaves you feeling less stressed, but it also helps you to stay focused on the important work, the work that will turn you into a productivity master. During those ten minutes, you can see what needs doing and make sure the important tasks get done first so that when you are feeling tired towards the end of the day you can be safe in the knowledge you have done your twenty per cent important tasks. Thank you for reading my stories! 😊 If you enjoyed this article, please hit that like button👍 It would mean a lot to me and it helps other people see the story.